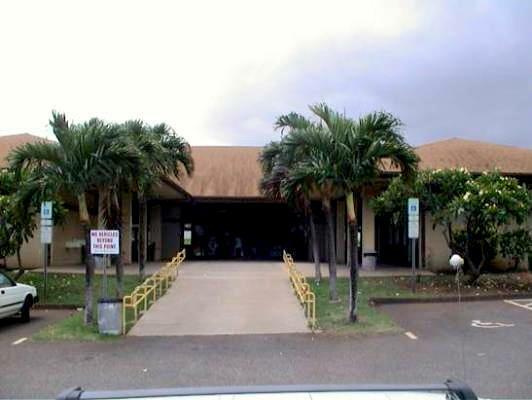 Velma McWayne Community Center in Wailuku. Maui County photo. County Clerk Danny Mateo made the announcement saying individuals wishing to vote early will not be able to vote at the County building as in years past. Those who show up to vote at the County building will be sent to the Velma McWayne Santos Community Center. Absentee Walk-In Voting for the Primary Election will take place from July 30 through August 9, Monday through Saturday, 8 a.m. to 4 p.m.
Absentee Walk-In Voting on Molokaʻi will still take place at the conference room of the Mitchell Pauole Community Center. Those who have yet to register to vote, or need to update their voter registration records, should expect longer wait times. Mateo also encouraged early voters to avoid the dates and times that are typically busy.